Help the holidays happen for everyone. 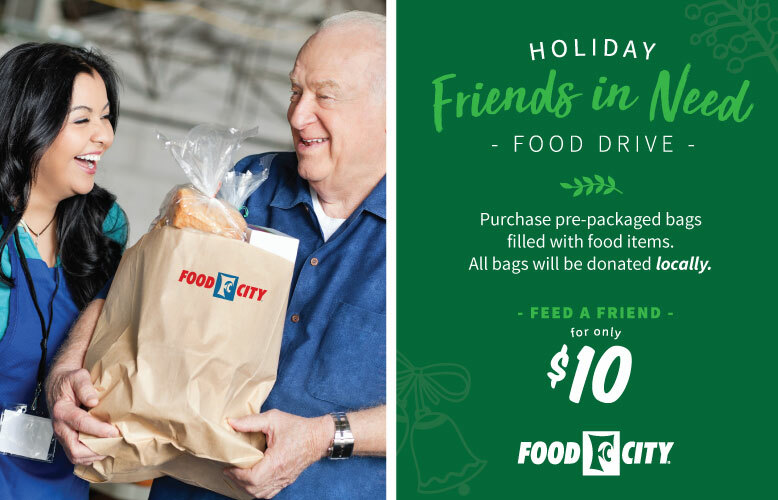 This Holiday season, help those in need by purchasing pre-packaged bags of food items at your local Food City grocery store. All bags will be donated to local food banks in your community. Feed a friend for only $10.